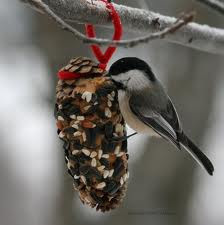 Home-made bird feeders are so much fun to make. We had some pine cones that we found and we decided to let the kids cover them in peanut butter and cover them with bird seeds. After that we tied some string on them and hung them out side.